. إن الخدمات الممتازة وحسن الضيافة العالي في Bushmans Retreat Motor Inn تجعل إقامتك تجربة لا تنسى. تتضمن الميزات الرئيسية في هذا الفندق: واي فاي مجاني في جميع الغرف, مكتب الاستقبال على مدار الساعة, واي فاي في المناطق العامة, صف السيارات, مرافق للشواء. يمكن للنزلاء الاختيار من ضمن مجموعة من الغرف المصممة بعناية لتعكس جواً من الراحة، والتي يتجاوز عددها 10. يمكنك طلب اللائحة الكاملة للخدمات في الفندق ومن بينها مسار جولف - ضمن 3 كم, حمام سباحة خارجي, حديقة. 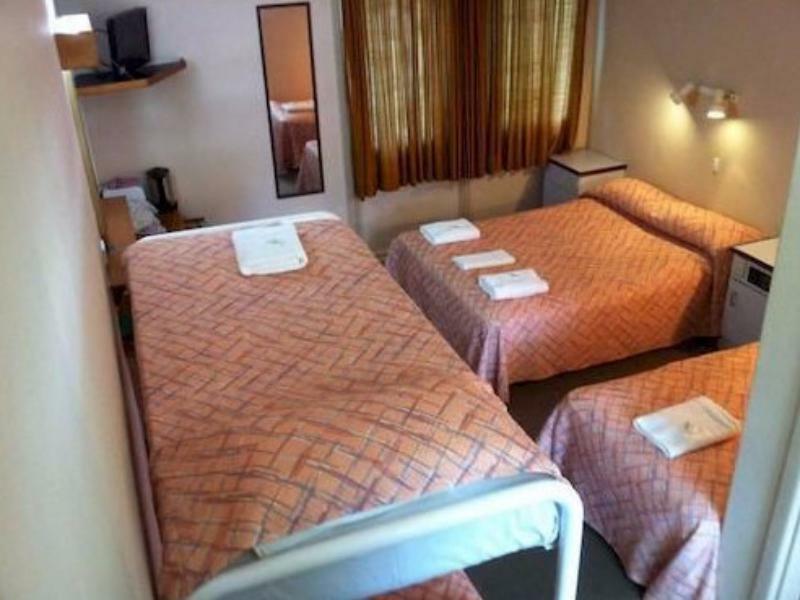 إن Bushmans Retreat Motor Inn هو خيار ذكي بالنسبة للمسافرين إلى جونداجاي، بما يوفره من إقامة هادئة ومرحة. Very old and poorly maintained. And interior was very outdated. Needs renovating. There is nothing good to say. The entire place felt horrible. Dirty unclean, falling apart, stunk, staff seemed uninterested. No smoke alarm in our room. Bedspread looked as if it had not been washed in years. Water spraying from shower head needing a washer. Aluminium foil to cover window. Very noisy ac. Plastic plates in mouldy sanyo entertainment shelf. We feared for our health. Would have left if we had a choice. 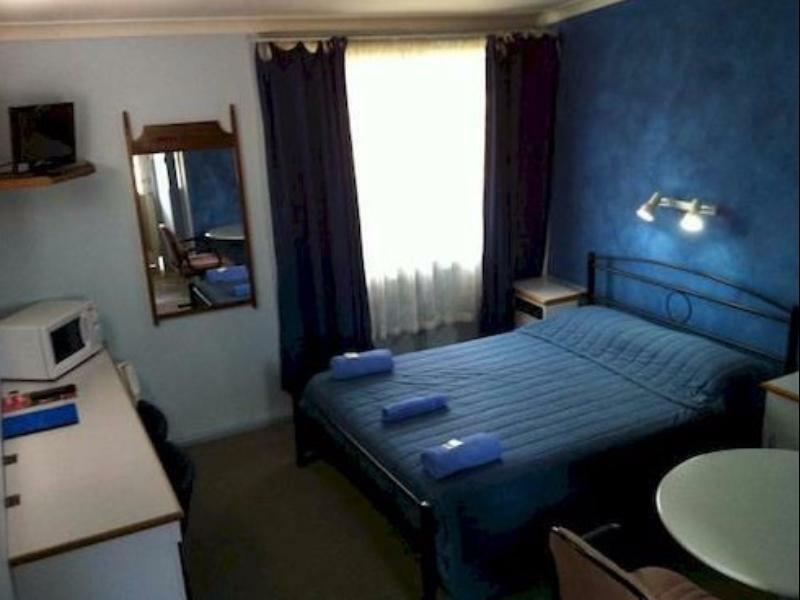 Have already told my friends if they ever find themselves in Gundagai to NOT stay there. To avoid at all costs. Only pro is it was clean. The price was extortion relative to the quality of the room and facilities. Plastic cups, no glasses, uncomfortable bed, 1950's motel. 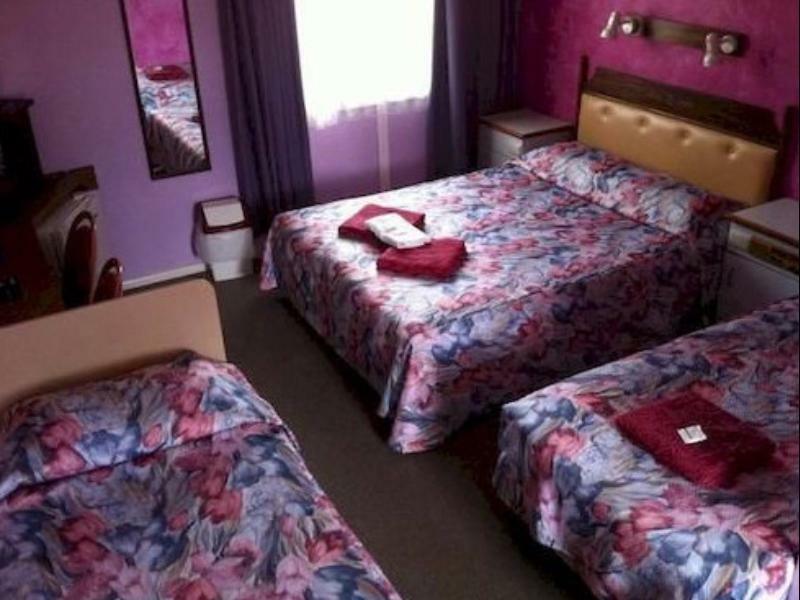 There is nothing good about this motel and it is certainly not even a 3 star hotel. Won't be staying there again. Fine if travelling with Pets as we were. Clean room, sheets, and towels. Decent sized area for dog to run around at back of motel. Good place to stop in way from Sydney to Melbourne. Stayed one night, that was enough. Party revellers in adjoining rooms, yelling,swearing,jumping in swimming pool which was next to my room,well past midnight. The ruckus continued to well past 3.am without any intervention from management. Management/staff was non existent. Worst night ever. We have learnt that most of the motel was occupied by an extremely rowdy bunch of inconsiderate revellers which was made up of a class reunion, including the motel management. We were kept up till 3.30am because of the noise and you will probably be hearing from our other friends which were also inconvenienced. We would like a response to this complaint. What would you have done if it happened to you? Convenient, clean and all the basics provided for a quick stop between Melbourne and Sydney. Pet friendly too! Great to find motel accommodation that is pet friendly. No highway noise. Flexible staff. Poorly maintained rundown place. Though new soap was available used soap still in shower. No heating in aircon. Insted domestic small heater provided. No one or box provided to return keys at 8am Have to say bed and linen ok....just! This property is very tired. And that in its self doesn't bother me. It is sadly positioned way out of a very scenic town in an ugly part of Gundagai. The old noisy air con was only outdone by the road noise and the air conditioners only advantage. Was that we could switch it off.